Applying emulsion is a crucial part of the screen printing process. Emulsion is a light sensitive chemical that blocks screen printing ink from being printed on the fabric where it isn’t needed. This allows for clean line work. Emulsion is hardened onto a screen. The hardened emulsion blocks the ink from passing over the screen. This prevents unwanted ink onto the fabric. 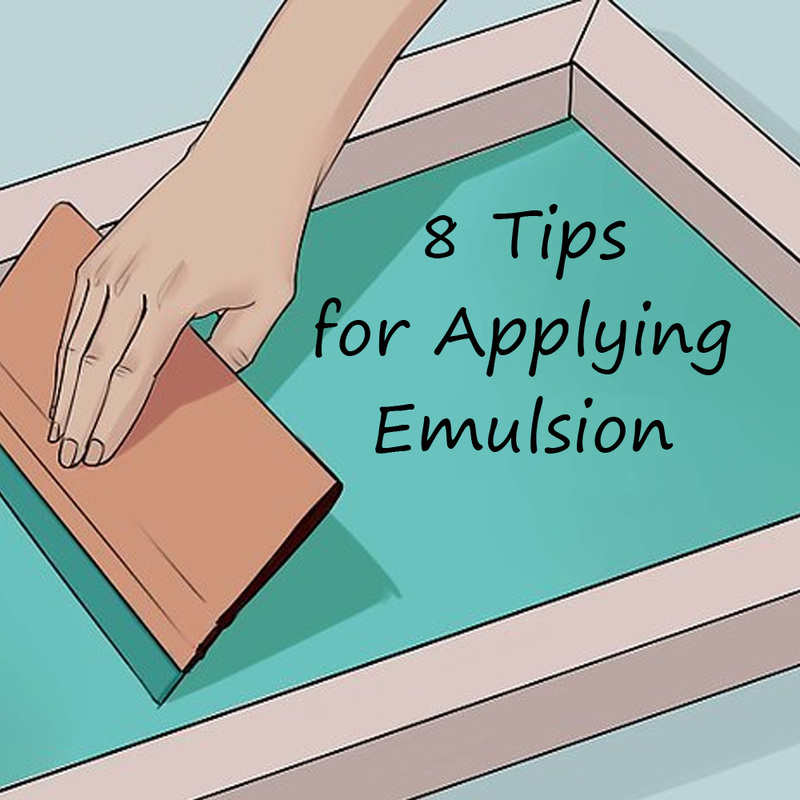 Follow these eight tips in order to apply emulsion correctly and receive crisp and clear screen print EVERY TIME! 1. Make sure that the Screen Tension is tight. 3. Mix Emulsion two hours prior to coating your screens. 4. De-grease your screen if needed. 5. Prior to coating the screen ensure that the screen is completely dry. 6. Emulsion must be distributed evenly with a sharp edge once. 7. Coat the t-shirt facing side of the screen first then coat the screen that will be hit with the squeegee. 8. Must be in a dark room.